We Make Mattresses Right. . . Right In Our Store! 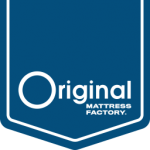 In addition to standard sizes, we are able to manufacture custom size mattresses and box springs to meet your needs. Hinging - Allows you to fold your mattress without damaging the innerspring. In addition, some of the most common special sizes are listed in the table below. Please give us a call for more information or if you would like to place an order for a custom product. Twin Extra Long 38" 80"
Full Extra Long 53" 80"
* Length and width dimensions for custom size mattresses and box springs have a tolerance of ± 1.5”. * Please note that while we will make just about any size you request, you may have trouble finding sheets and other bedding to fit your custom mattress and box spring. There are catalogs that sell many special size sheets. You may also buy a flat sheet for a size larger than your custom mattress and tuck it under. ** A standard Super Single is approximately 48" x 84". 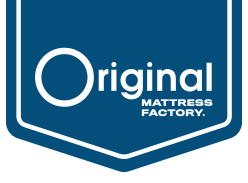 At The Original Mattress Factory, our Super Single finishes at approximately 46.5" x 81", with a tolerance of + 1.5". This smaller size makes is easier to put on sheets and make the bed.